This issue covers a wide range of topics related to genitourinary imaging, across a variety of imaging modalities. 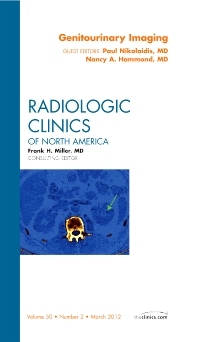 An update is given on dual-energy CT in urologic imaging. Imaging of the retroperitoneum is also discussed. Imaging of infectious and inflammatory diseases of kidneys is reviewed, as is imaging of the features of common and uncommon neoplasms of the bladder. Multimodality imaging of the ureter, unusual renal masses, and adrenal imaging are all addressed in detail. Finally, advances in pediatric urologic imaging are reviewed.